Anil Goswami from Indore, B.Com Graduate. Working for : Aegis Infotech Pvt. Ltd. Currently working as Apple Support Engineer at Aegis Infotech Pvt. Ltd.
SYSTEM ADMIN SYSTEM ADMINISTRATIO.. HARDWARE NETWORKING.. APPLE CERTIFIED MACI..
are one of expert skill area's of Anil Goswami . 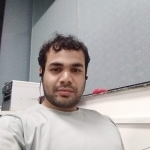 Anil Goswami is working in IT Software industry.